We are seeking individuals to join our Inter-Hospital Gutsy Team Challenge! 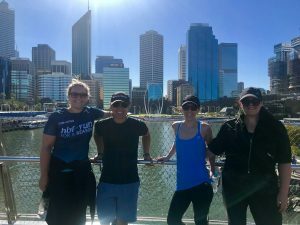 The Sir Charles Gairdner Hospital in Perth have already got the ball rolling by forming the ‘Whipples it Good’ team and committing to walk 12km on the 27 May in Western Australia’s Run for a Reason. 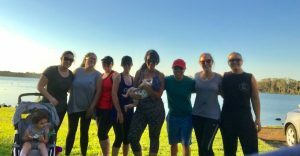 This group of 17 surgical nurses, a patient and his carer decided to come together – not only to have fun and get fit together but also to help raise much needed funds for GI cancer research. 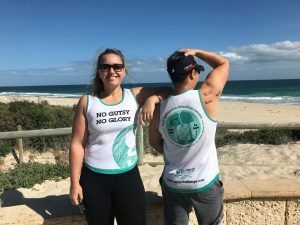 Team member Grace Roberts says, “Nursing patients and supporting their loved ones every day through GI cancer illness and therapy really hits home about why fundraising and raising awareness is so important.” The team has successfully achieved their goal of raising over $10,000 for GI cancer research! Do you think you and your colleagues could build on or even exceed what the Sir Charles Gairdner Hospital team has achieved? We know there are a lot of people working in hospitals and supporting the 24,600 GI cancer patients diagnosed every year right across the country. Like Grace, they know all too well that more needs to be done to improve the treatment and outcomes for these patients and their families. If this is you, we set you the challenge. Form a team and take part in a local event to help raise much needed awareness and funds for GI cancer research. It just takes one person to get started! Once you register your interest in the form to the right, we will help you get started, set up your fundraising team page and also provide you with team t-shirts! From past experience people join our Gutsy Adventures as they want to achieve personal goals, whilst also making a difference & improve outcomes for GI Cancer patients through supporting clinical trials and research in to new treatments. 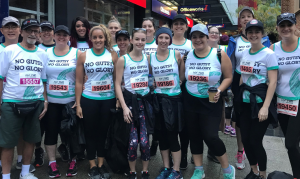 Join the team from Sir Charles Gairdner Hospital, who took on the 12km Run for a Reason as their Gutsy Challenge event, all for better treatments for digestive cancers. Below are some key event(s) you may be interested in participating in. Please indicate if you are interested in any one of these. Have you already registered for your preferred event(s)? Would you be interested in learning more about a non-running Gutsy Challenge or Event? We welcome any feedback or Gutsy ideas - please let us know if we can assist with anything further?